The Sennheiser MKE2 is a professional miniature lavalier microphone and an industry favorite among field audio engineers, broadcast engineers and film crews. With a wide frequency and high sensitivity response, the MKE2 lavalier is developed for crucial audio reproduction of vocals and instruments. 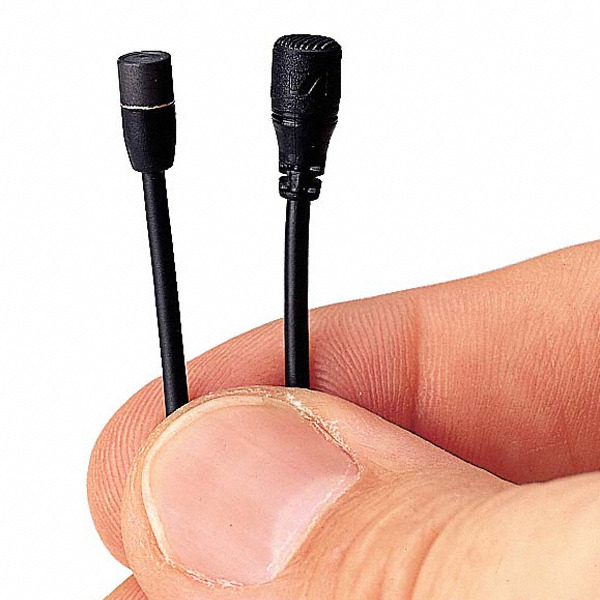 Its omnidirectional polar pattern provides an even frequency response throughout the perimeter of the microphone. The result minimizes handling noise caused by clothing, while providing accurate, transparent audio fidelity without noise. The MKE2 is widely favored for its superior audio quality and miniature profile. The sub-miniature yet durable design enables the microphone to be used in stage performances, video shoots, film shoots, or anywhere an unobtrusive microphone is necessary. The microphone features a standard XLR terminated connection and is powered via external 48 volt phantom power. Omnidirectional Polar Pattern The omnidirectional polar pattern provides a consistent frequency response at the direct and off-axis sections of the capsule. Wide Frequency Response The MKE2 features a wide, linear frequency response for accurate, transparent reproduction of vocals and instruments. Subminiature Profile The MKE2's sub-miniature profile enables the microphone to be used on stage or on camera while remaining inconspicuous.